Richard J. Wershe, Jr.—White Boy Rick—at last has some real hope to get his life sentence for dealing drugs overturned. This important confidential FBI informant was sentenced in 1988 under a now-discarded Michigan law mandating life in prison for possession of a large quantity of illegal drugs, even though he wasn’t associated with any drug violence. A recent Michigan Supreme Court decision eliminated mandatory minimum sentencing and Wershe’s new case judge is willing to consider re-sentencing him in light of the high court ruling. The Wayne County Prosecutor has a fresh opportunity to stand up for justice in his case. Kym Worthy said that. She’s the prosecutor for Wayne County, Michigan. She said it at a recent news conference where she announced her office had exonerated a federal agent who had killed a fugitive during a raid. The dead man and the federal agent were both black. “Credible facts matter. Supportable evidence matters. Provable evidence matters. 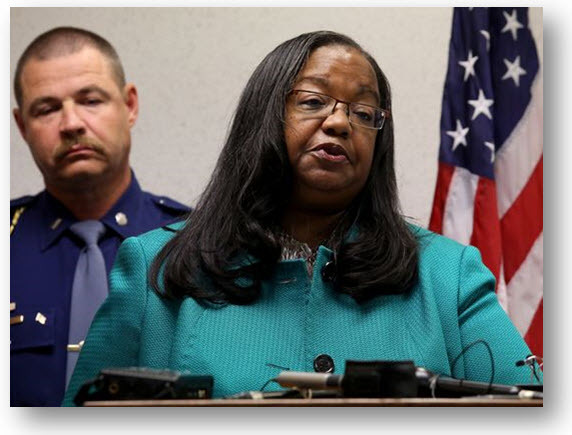 Doing justice matters and the truth matters," Worthy told reporters. Richard J. Wershe, Jr.—aka White Boy Rick—can only hope she meant what she said about facts and truth. If she does, she will not oppose a court motion filed by Wershe’s appeals attorney to have his life sentence overturned and be given a new sentence to time-served. The judge in Wershe’s case has given the prosecutor until early October to file a written response. If she opposes re-sentencing Wershe a full court hearing is likely. It’s possible Rick Wershe’s lifelong nightmare might be over by the holidays. More about that in a moment. Prosecutor Worthy’s predecessors have steadfastly opposed parole or gubernatorial commutation for Wershe on the very dubious grounds that he was and remains a menace to society. Wershe is, quite frankly, the victim of a lie-infested smear campaign by some in law enforcement. He’s been labeled as a “kingpin” and “drug lord” and a gangster who is “worse than a mass murderer” without any “credible facts”, without any “supportable evidence”, without any “provable evidence” and without any “justice” or “truth.” The words and terms in quotations in the previous sentence were borrowed from Wayne County Prosecutor Worthy’s recent observations about the importance of such things. Truth? Justice? Supportable, provable evidence? Here’s some. Richard J. Wershe Jr., who is serving life for dealing drugs, was recruited at age 14 by federal agents to become a confidential informant against the Curry Brothers, a politically-connected drug gang operating on Detroit’s east side during the 1980s. Rick Wershe didn’t seek out a life of crime. Law enforcement lured him in to it to help them make a big case. Over the years he passed along to the FBI good information about police corruption in the Detroit Police Department. When the federal agents and Detroit police officers of the Organized Crime Drug Enforcement Task Force (OCDETF) had no further use of their teenaged informant they cast him aside to fend for himself. So he tried to become a cocaine wholesaler on his own. He was quickly caught by the Detroit Police. He was 17-years old. He had been living an underworld life unknown to most teenagers. He was cocky and arrogant and full of himself. In other words, he was an immature kid. He’s now a middle-aged man who has spent his entire adult life behind bars for a non-violent crime he committed as a juvenile. True mass murderers—Detroit drug underworld hitmen—have been sent to prison and released on parole in the time Wershe has spent locked up. Prosecutors have not opposed the release of these killers but they have opposed the release of Rick Wershe. Why? Wershe’s attorney, Ralph Musilli, a lawyer never at a loss for words, calls his client a “child warrior in the War on Drugs.” Bombast aside, Musilli is right. Wershe, the teenager recruited to become an informant, passed along vital tips to the Detroit federal drug task force about dealers and cops-on-the-take. This cost a lot of people a lot of money. Those people have friends, political friends, in the Detroit/Wayne County criminal justice establishment; cops, assistant prosecutors, judges and, of course, criminal defense attorneys with deep pockets that can assist, and influence, people running for local election. There appears to be a loosely organized but quite effective vendetta against Wershe for telling the FBI about drug dealing and corruption in Detroit. How else to explain why he is the last prison inmate still doing time under a harsh mandatory-life Michigan law that was abolished years ago? In late July a Michigan Supreme Court ruling struck down portions of state law dealing with criminal sentencing guidelines. A big part of that ruling abolished the use of mandatory minimum sentencing in the guidelines used by court judges. When Rick Wershe was sentenced to life in prison without parole, Detroit Recorder’s Court trial judge Thomas Jackson, now retired, was following the established sentencing guidelines. Another Michigan Supreme Court ruling allowed Judge Jackson to amend Wershe’s sentence to life with the possibility of parole instead of life without parole. The judge amended Rick Wershe’s sentence to include the possibility of parole but the mandatory minimum of life remained in effect. The recent Michigan Supreme Court ruling appears to have changed that. Musilli, Rick Wershe’s longtime appeals attorney, lost no time in filing a motion for re-sentencing before Wayne County Circuit Court Judge Dana Hathaway, who now has Wershe’s case among the cases on her docket. “This is huge,” Musilli says. “This will be the first hearing we’ve ever had.” What he means is this will be the first court hearing Wershe has had since he was sentenced in 1988. Wershe had a hearing before the Michigan Parole Board in 2003 but that was more like a kangaroo court, a go-through-the-motions charade where the decision was already made to keep Wershe in prison. This time Musilli is optimistic. “We have (the) law on our side and we have a judge willing to listen to it.” He also has considerable facts and evidence on his side, too. 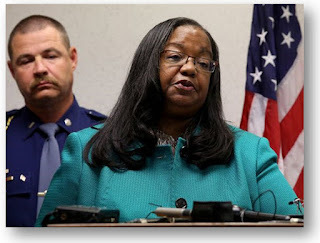 She has none of those things if she goes to court and opposes a sentence reduction for a man serving life in prison after helping law enforcement rid Detroit of some of the infection that came with the reign of a group of 1980s drug dealers and their corrupt friends in the police department. All she has against Wershe is an unprovable reputation that has become an accepted local legend. Prosecutor Worthy can truthfully say she can’t speak for what her predecessors did in the past, but this is now and her review of the Wershe case doesn’t support his continued imprisonment. She can even reprise what she said to reporters in mid-August: “Doing justice matters and the truth matters."